Database Systems Corp. (DSC) provides call center products and services including message broadcast services using our multiple call centers. These services and systems are ideally suited for providing patient appointment reminders and notices. Professional medical practices such as doctor's offices rely on appointment scheduling to keep an ongoing business. Patient appointments may be scheduled weeks or even months in advance. Our automated appointment reminder service can help your practice by reducing missed appointments, thus increasing your revenue. With our patient appointment phone reminder service, we can contact your patients or clients in a professional manner reminding them of their upcoming appointments and doctor's visits. Contact DSC to learn more about our patient appointment reminder service and systems. If your medical practice is large enough to require your own dedicated reminder system, DSC offers both an affordable patient reminder phone dialer. This solution includes a modern Windows PC with Dialogic computer telephony cards. When combined with our extensive IVR software, these patient appointment reminder systems can manage virtually any type of outbound calling campaign. This includes automatic call processing as well as transferring calls to your office staff. The WIZARD voice broadcasting system is our entry level auto dialer phone system that supports analog phone lines. If your medical call center requires more lines, our PACER voice broadcast dialer can be used in environments where digital T1 phone line support is necessary. Here are just a few of the different types of patient appointment reminder services provided by DSC using our automated phone systems. 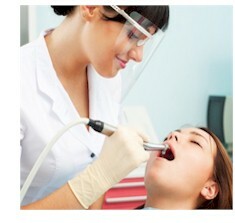 Dentists Appointments - remind patients of dental appointments. Doctors Appointments - remind patients of doctor's office visits. Eye Appointments - remind clients of eye examination appointments. Contact DSC for a FREE analysis and quote and to learn more about our appointment reminder services and phone systems.